If there was one injury that impeded the progress of Paul Lambert’s Aston Villa side this season, it was losing the pace and athleticism in the centre-back position of Jores Okore. While he was unproven in the Premier League, the signs in the few games he did play, suggested the Danish international would be Lambert’s buy of the summer. There was better news to come for Okore though, and the delighted player rejoiced on social media a few weeks back, that he would return in March. This week, Lambert’s words in the pre-Newcastle match press conference, although vague, certainly back this timing up. “He won’t be in the squad for a few weeks but he’s come back quicker than we actually thought,” Lambert told press. Okore’s return during the back-end of March, should help get Villa over the line in terms of the potential relegation battle head. At this time of the season, any long-term injury to Ron Vlaar would have put Villa in a crisis, but Okore’s quicker-than-expected recovery is certainly welcome security in that respect. 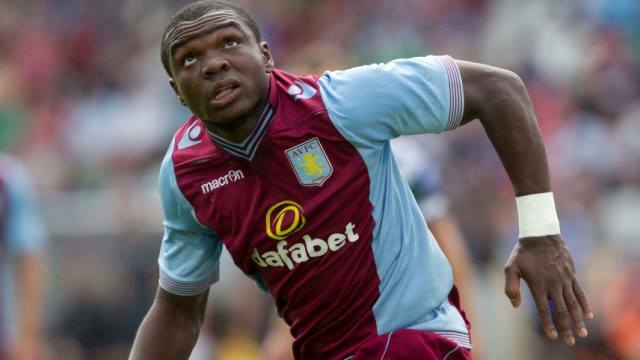 In terms of Okore’s long-term development as a Villa player, his return will give him game time to prime him for Lambert’s pivotal third season in charge, when being in the relegation picture once again, will not be an option in the eyes of the majority of Villa supporters.